The BBC Trust has launched a review of the BBC's local radio stations and local news on TV and online. The review will focus on how well local radio and local news services in England are fulfilling the commitments set out in their service licences. A public consultation is being held as part of the review. With reports from radio insiders claiming that BBC Local Radio is "unloved" and with falling listening figures, the Trust will look at how well BBC Local Radio and local news programming is serving audiences, the extent to which people are using the services and the impact the services are making. In some locations, such as Derby, BBC Local Radio is the only major provider of local radio on FM based and broadcast from within the local area. This follows consolidations in the commercial radio market and the move to regional hubs and national networking, although small scale community stations often cover parts of the affected areas. BBC Local Radio in England targets older listeners, outside of the age groups targeted by most commercial rivals. 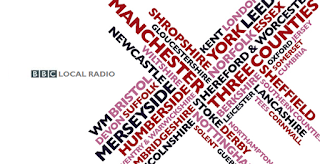 Recently, some BBC Local Radio stations began broadcasting on Freeview in their respective English Region. Key questions will also include whether they are delivering high quality, distinctive content that represents good value for money for licence fee payers. Whilst not formally assessing market impact, the review will consider the BBC’s position in the local media environment and how its local news provision currently fits with that provided by others. The review will also look at whether Local Radio and local news is equipped for changes to listening and viewing habits including responding to technological shifts. “Our last review of Local Radio showed us how greatly valued the BBC’s local services are – they are a companion to many and a lifeline in local emergencies. "We want to bring things up to date and hear from audiences what they think about their local BBC services on radio, television and online right now. We want to know what you think about the content, variety and quality of programming – your opinion matters so please get in touch and tell us how well you think they are doing." As part of the review, the BBC Trust is running a public consultation to hear what audiences think of their local BBC services in England. People can contribute to the consultation online, by phone, post, or alternatively can tweet using #localreview.